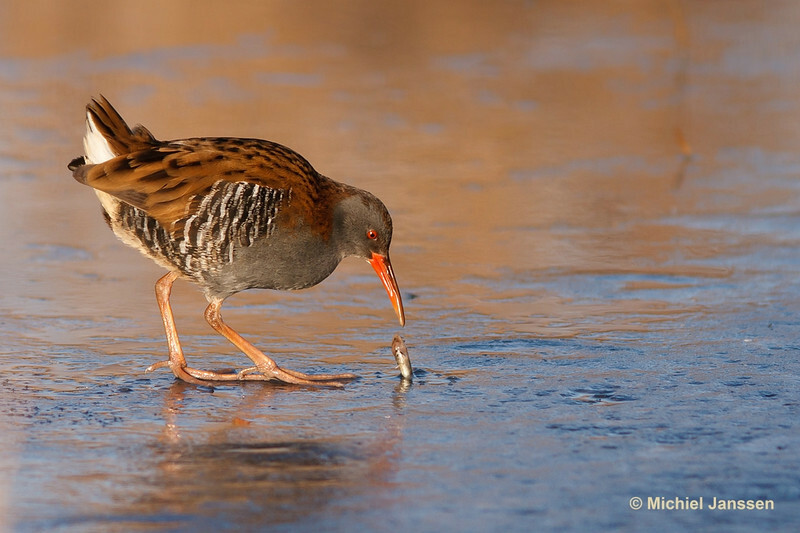 This rail a very shy bird usually hiding in dense vegetation but when its world is frozen it has to come out to find food. Here it just found a dead Three-spined Stickleback in the melting ice. These birds are omnivorous and are even known to feed from carcasses. Photo taken near Vlaardingen (the Netherlands) on 17 January, 2010.